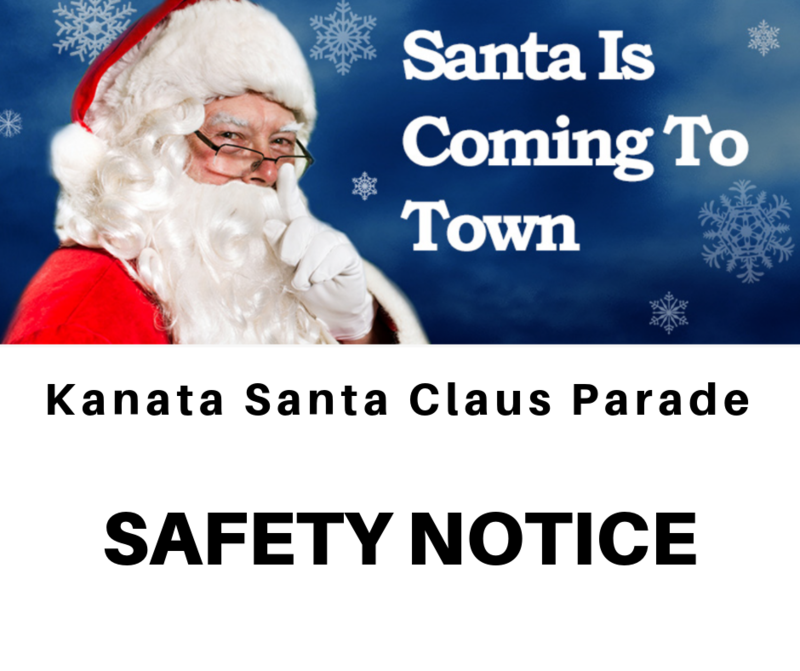 The Parade is this Saturday, November 17. Please note that the City is currently completing Curb and Sidewalk works at the corner of Castlefrank and Abbeyhill. As a precaution, the City will put in place safety measures to safeguard the site. Please plan your viewing locations accordingly and be careful out there. Update: The city tells us the road work has been completed. 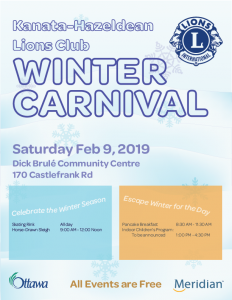 Planning for the annual Lions Winter Carnival has begun. Mark your calendars, the Carnival will be Saturday, February 9, 2018. Thanks to generous support from Meridian Credit Union, and the City of Ottawa, all the events are free, including the pancake breakfast. 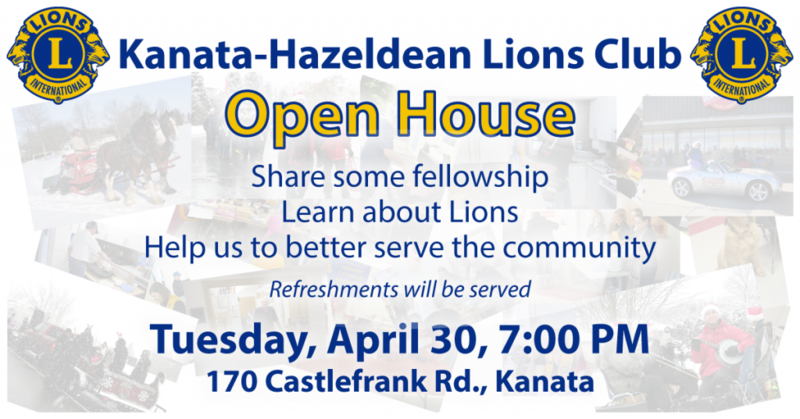 A voluntary donation jar will be available indoors, and any donations will be gratefully accepted and used for Lions’ community projects. Detailed events will be announced shortly. Plan to come, celebrate mid-winter, and fight the February “blahs”. 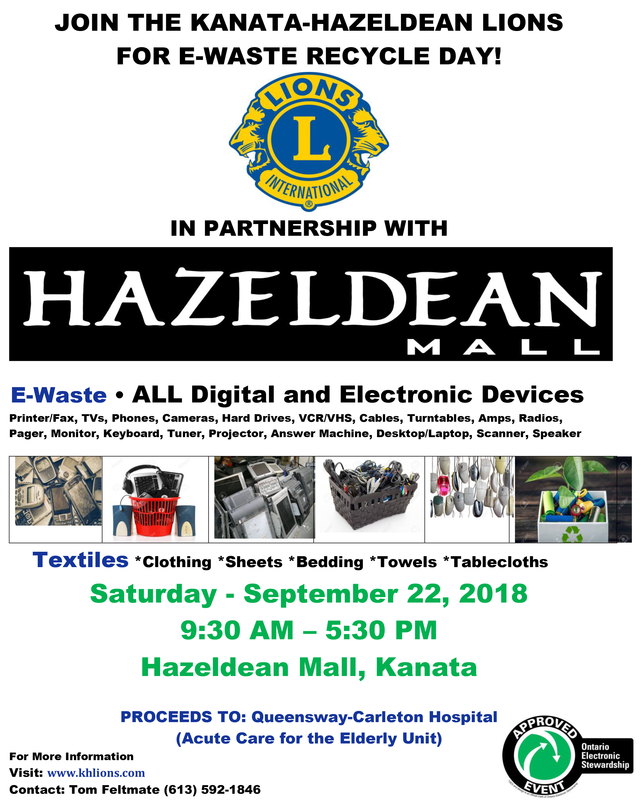 e-Waste recycle day is Saturday, September 22, 2018, from 9:30 AM to 5:30 PM. 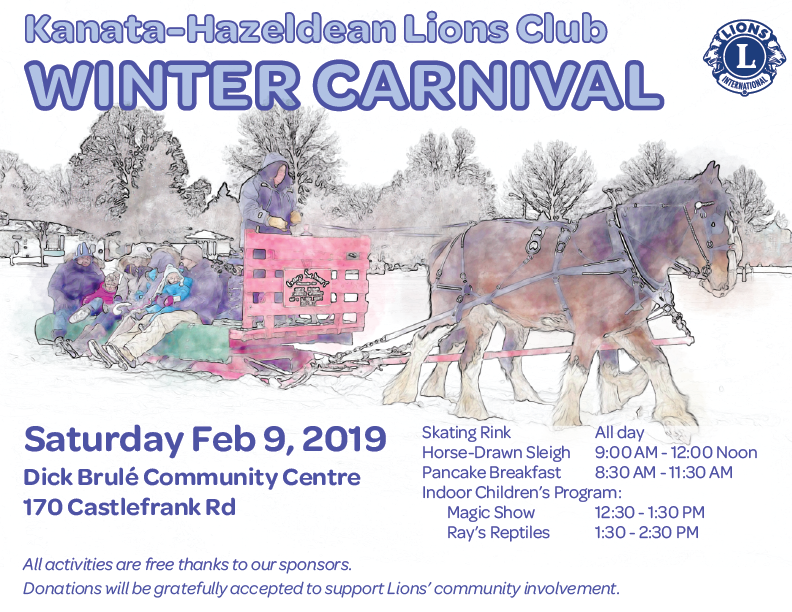 Note that this year the event is at Hazeldean Mall, not at the Lions’ Hall.